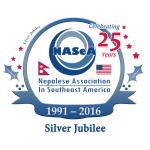 Interested members can either self-nominate or nominate other individuals who are dues paying members of NASeA as of July 4, 2017, including attendees at the 2016 ANMA/NASeA annual convention in St. Louis, Missouri with payment of the full registration fees, or who are life members of NASeA. Nominations must be received by the Election Committee by Thursday, August 3, 2017 for consideration. Nominations must be submitted by following the guidelines and procedures as described below. 1. 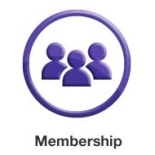 Be a NASeA member in good standing. 2. Has attained the age of 18 years by the filing deadline. 3. Has been a NASeA member for at least sixty (60) days immediately preceding the election. 1. One individual is eligible to compete for only one position. 2. A nominator can send nomination for one or more positions. 4. The position or positions being nominated must be clearly specified. 6. A statement must be provided by the nominator that, to his/her best knowledge, the nominee is eligible for the position according to the nomination guidelines described above and in the bylaws. 7. Nomination must be submitted no later than August 3, 2017. 9. Only nominations sent to the e-mail address in #8 above will be considered by the Election Commission. Any e-mail with questions or comments about the nomination process and election will not be entertained or replied.